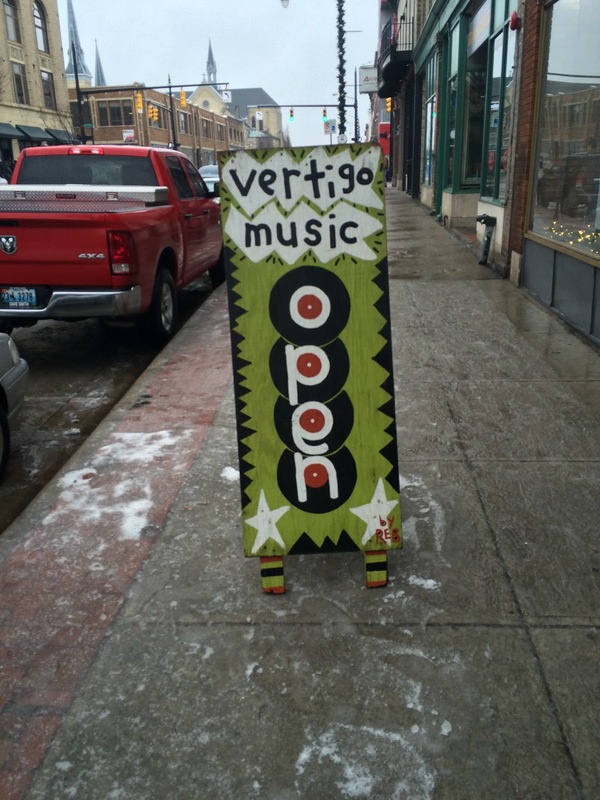 Made my 14th trip to Grand Rapids and finally was able to hit up all the record stores the city had to offer. Some new ones and an (not very) old haunt. After my work was done near Wyoming, I went downtown to have a burger and some chili at Stella's. I longed to head to my hotel for a shower and a nap but that would come later. The other two record stores (besides Corner Record Store) I had been wanting to check out were just around the corner so I decided to take care of that straight away. 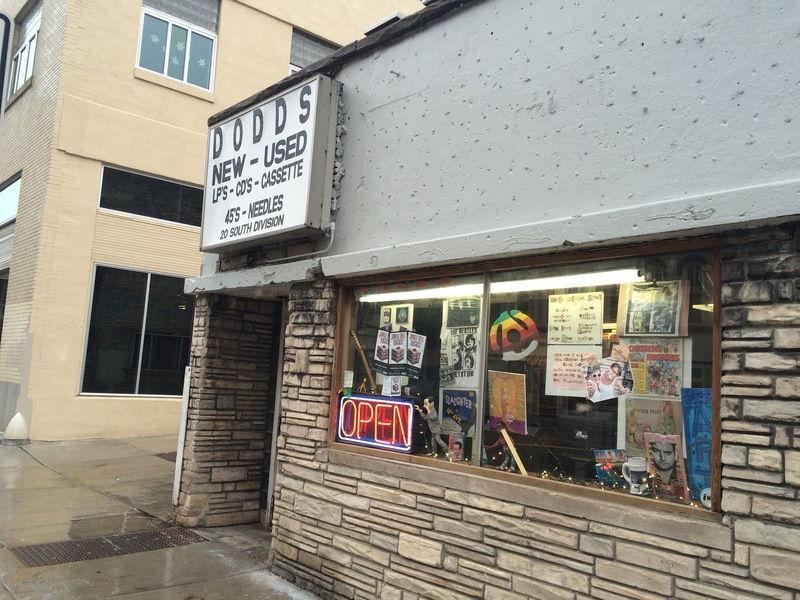 First up was Dodds Record Store. A glance online for info on the place reveals an interesting history. Apparently the place has been around for decades and is recently reopened with new owners after being closed for some length of time. The Google and Yelp reviews are 'interesting' (Google still shows them as 'permanently closed') if not hilariously bad - not that those things would deter me, especially considering it was 0.3 miles from the table where I was eating lunch. 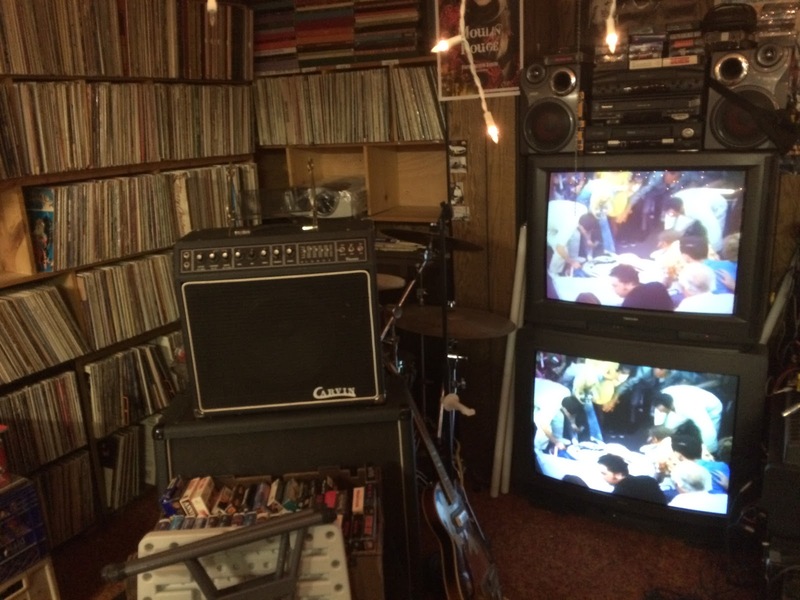 It is quite small inside and loaded with vinyl - including giant stacks everywhere on the floor. This makes it hard to navigate their inventory and often times difficult even to move around. 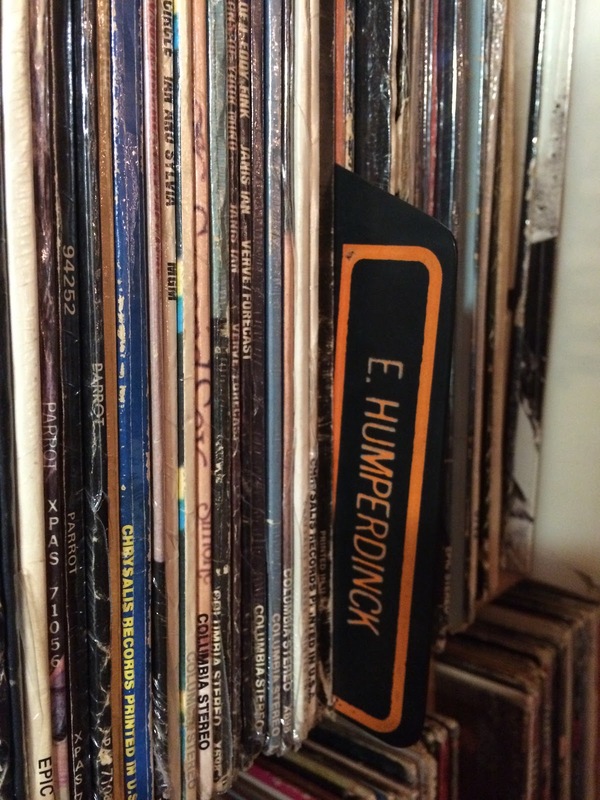 After being totally unable to figure out where any genre was placed or began/ended I asked for help and was steered towards the Engelbert vinyl. There was a variety of import compilations which bordered on overpriced. I was staggered to find that many of them appeared to be still new in wrapper but was really puzzled when I found one with clear water damage and warping. Surely shrink wrap may not always be totally water proof but it still seemed suspect. The online reviews I mentioned earlier tell the tale - it seems the previous proprietors would actually re-wrap every release that came in! I have never heard of such a thing and in this business it could be honestly considered as fraud. I am not talking about plastic sleeves - I am talking about heat shrunk wrappers as they come from the manufacturer! I decided against any of them only because I determined I have enough Enge compilations. I can't imagine how angry I would have been to spend $10 on a crappy import comp I didn't really want anyway, only to find it is not new/sealed as it seems. A few feet away, I found a giant mound of copies of 'Release Me' on the floor. I found one in mono and grabbed it. A friend recently told me - sage advice - that you ought to buy releases like that whenever you see them (I have three now - but still searching for his sophomore release in same format). 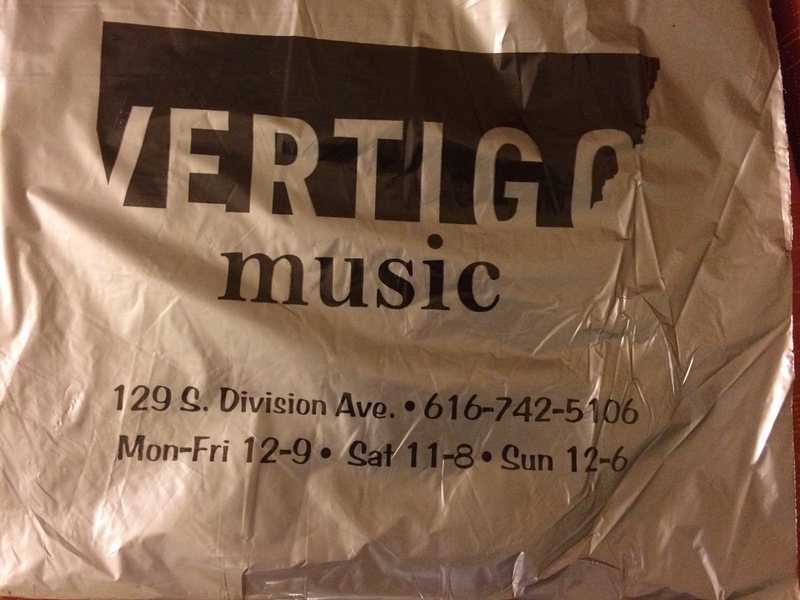 It was also wrapped as new - however in this case I got lucky (I did not know of the previous managements propensity for plastic until I was writing this post!). I know now that it is legitimately a sealed copy as it has a giant promo sticker on the outside. I sorted through their small jazz and country sections as well - nothing doing. I made some small talk with a man who seemed to be the owner regarding the avant garde Coltrane that played on the jazz radio station. My knowledge (and even interest) of Trane is largely periphery in terms of the actual material but I have the wherewithal to have made myself abreast of such an important icon. One of my biggest vinyl splurges ever was the boxset of my favorite album of his - and one of my favorites in general. I had also grabbed a copy of one of Tom Jones last Parrot LPs - I was convinced it was some kind of special release. 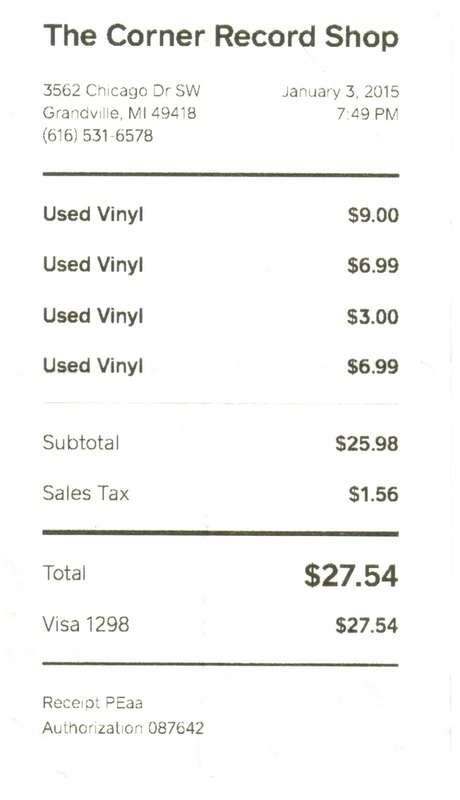 Turns out it is just the album minus the outer sleeve (that album came with an elaborate, heavy card stock INNER sleeve that visually doubles as the actual release's packaging) and he seemed to arbitrarily choose the pricing on my two albums (neither were marked). His 'partner' - a woman who frantically ran around trying to somehow organize the chaos - commented that "he doesn't let me throw away anything" as she directed me in response to my questions. I also caught bits of an interesting exchange between them behind the counter, as he reviewed a stack of vinyl and repeatedly made the demand that she 'set that aside' for display behind the counter. 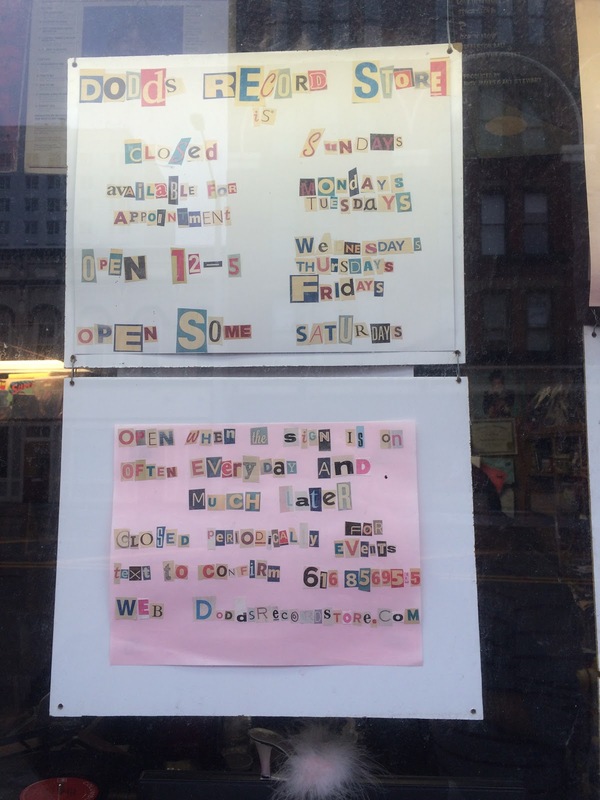 I don't own a record store and never will, and I don't know anything about running a business at all. 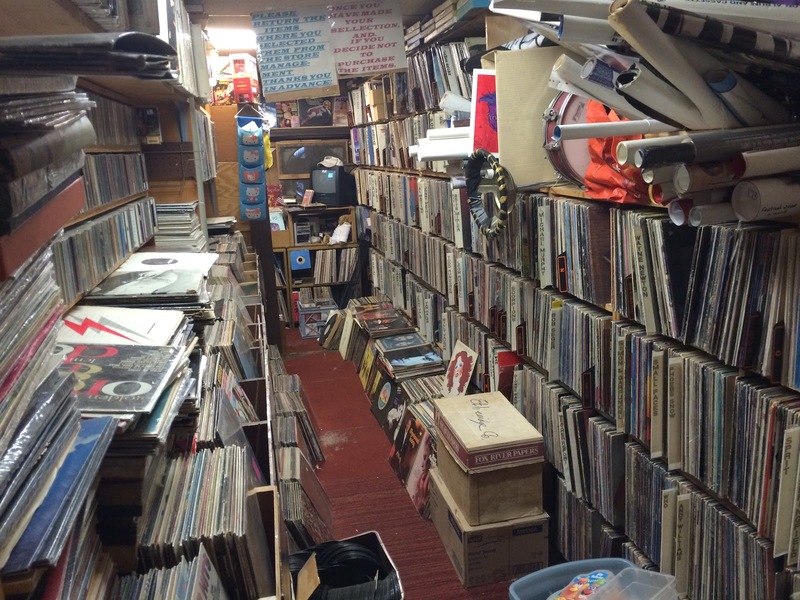 But I've spent a lot of time inside record stores and this place is a mess. Still, I'd be back if I was downtown. After that debacle, I made the stroll south down Division. Let me be perfectly open and disclose that I got moderately beaten up a few blocks away a couple years ago in what I presume would have been a mugging had I not 'defended myself' and gotten the hell out of there. Now temper that statement with the fact that I was born in one of the largest cities in the USA (Chicago) and spent most of my formative years doing things and going places I should not have throughout all geographic areas of said city. I spent 5 years working for the telephone company where no nook or cranny of the cities north, west or south sides were off limits. My point is that I am largely immune to the other half and I do not come from the upper crust or some other such nonsense. That walk down Division caused me to want to rename it 'Skid Row'. I did not get mugged by homeless people in the aforementioned episode but downtown Grand Rapids leaves much to be desired as when you are not looking over your shoulder (in an area you've been to countless times) you are consistently being solicited by someone(s) looking for donations to their personal finances you are simply surrounded by all types of unsavory characters. Worse yet was that it was raining/sleeting but I had work to do. I dodged the bums in my path and made a bee line to the front door. 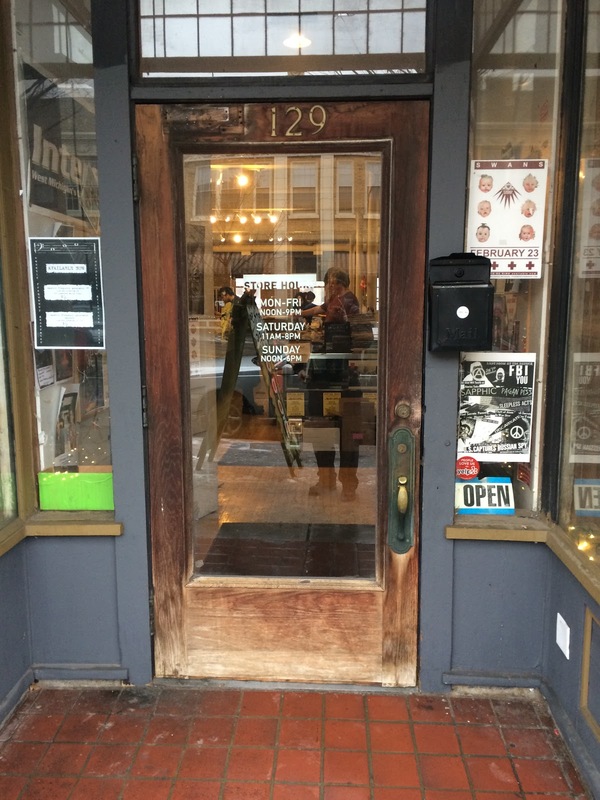 Vertigo records is a clean, white walled place with a large amount of vinyl. 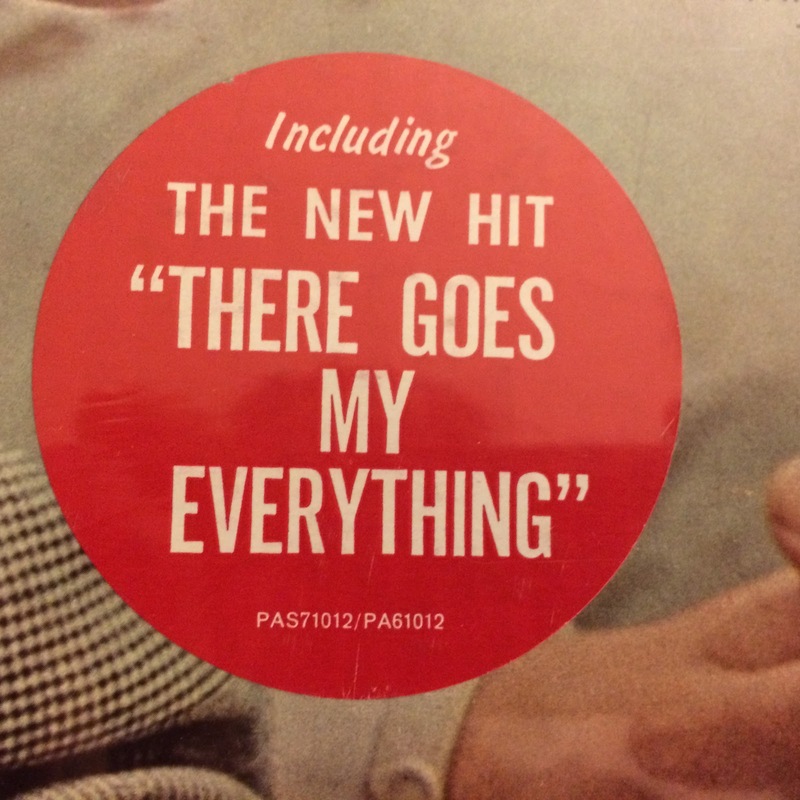 They lean towards new/sealed/contemporary vinyl but maybe 1/3rd of their inventory is used. It seems to be sort of scattered in terms of artists/genres....it is well organized but does not seem to well represent common/standard stuff. 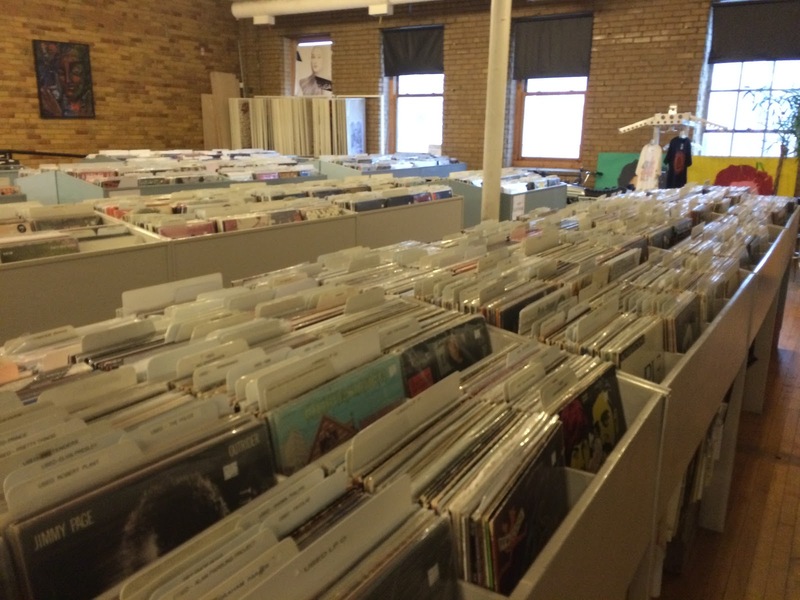 The used jazz section is well sized, behind which sits 4-5 bins of $1 vinyl. I had trouble finding anything of interest and I went through the entire jazz section. I glanced through the dollar records but I was ready to go - I decided on a Mary Robbins greatest hits (in mono, again) to go with the Volume III I already have. There is no compilation released that is clearly labeled as 'Volume II' but I assume this is it - eyes are peeled. From there I bailed out to take care of the nap/shower previously scheduled. 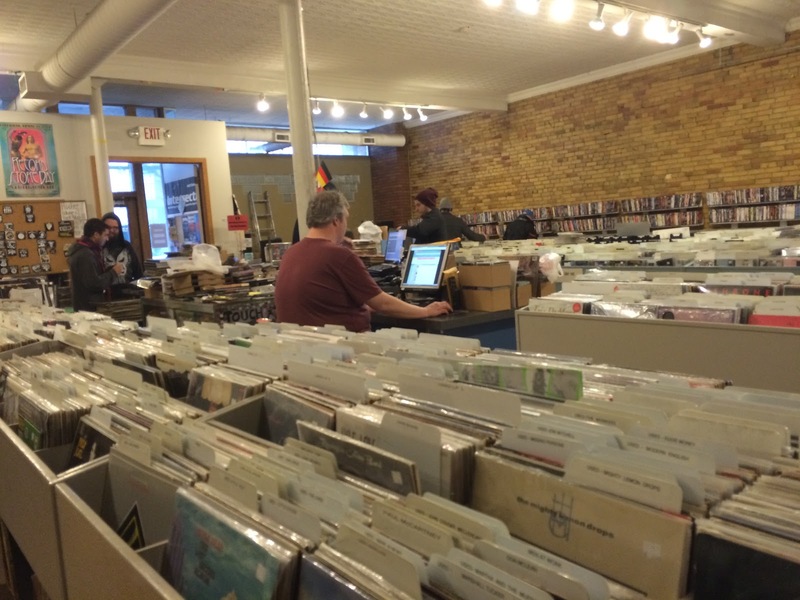 I woke up feeling beyond refreshed and headed out to Grandville to return to Corner Record store - one of my favorite record stores in the world and obviously one of the best. My first business upon arrival was to take another look at their massive room of 45s. While my Parrot Records 45 collecting was once limited to jukebox EPs and picture sleeves, now I have expanded to every Tom Jones and Engelbert Humperdinck single there is. I am also open to promos when I come across them. I came away with three new Enge 45s plus a promo. I also scooped up two more Tom Jones 7" records. 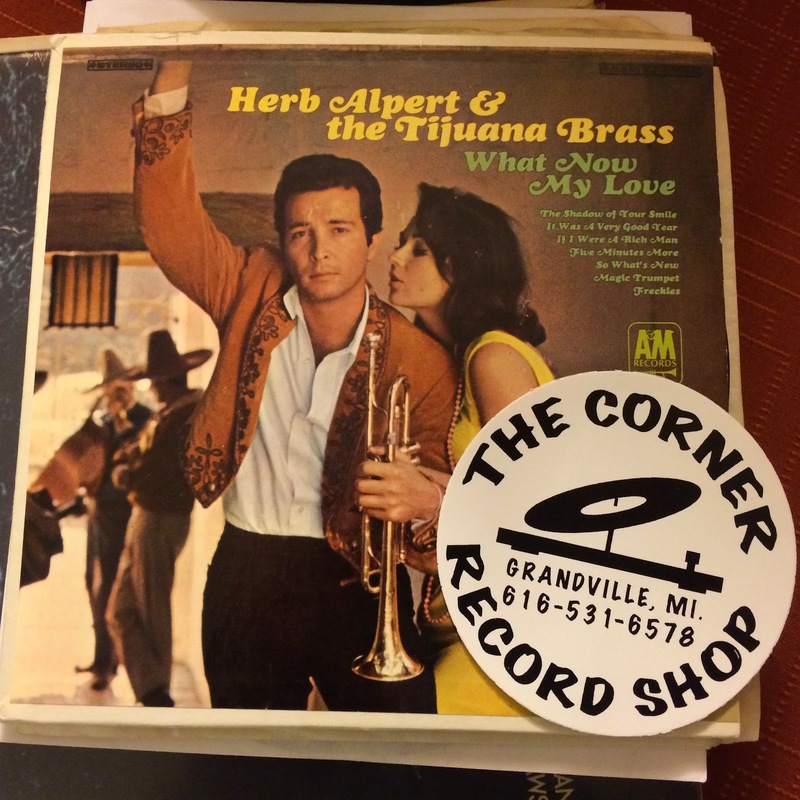 I spent some more time in there looking at this and that when I came upon a real gem - a TJ Brass jukebox EP! It's one of many but I'll take them when I find them! I darted upstairs to where I spent so much time during my first visit. The place was barren of humanity and the previously 'under construction' status was now completed. Besides the giant bin of 'male vocals', there were some more rare Enge and Tom LPs in a seperate area, I almost walked out with a UK copy of 'Body And Soul'. Kim Mitchell - Akimbo Alogo - Had my eye on this for a long time. Wanted the club version for the alternate cover but I'll never find that south of the border. This is in perfect condition and I'm glad to add it to the collection. I just paused my writing to put it on while I finish this post. It reeks of the era even if it was a different country. Kim is a guy that could not have possibly aged better. I'd love to hang out with him. Little River Band - First Under The Wire - My girlfriend has had this one for a while and I told her she had better be careful before it gets up and walks away one day. Her nervousness need not last any longer as I have my own copy now. It's kind of scary but I remember where I got the other two albums in the 'hit triology' (all their big songs are contained on three main albums). I grabbed the last album first, at an estate sale a few blocks from my house. The middle album showed up at a local bookstore. Like a steel trap I tell you! Manhattan Transfer, The - Extensions - I had a late 80s album as a kid (grabbed it last year on my birthday on vinyl). I'll admit it - I picked this up for 'Birdland' and I've listened to side A on repeat many times since I brought this home. Very happy with this purchase - track A3 is phenomenal! Ray Price - Sings Heart Songs - I keep telling myself to stop buying Ray Price records but I have a real 'problem'. I got this for $1 because it has a couple scratches - I saw the same one in good shape for $10 about 20' away in the country section. This is actually the first pressing as well, glad I scooped it. Hubert Laws - Then There Was Light (Volume 1) - A 6000 series epic I have owned the second half to for months. You can buy the whole thing at once but I've had more trouble finding just this first half, I don't know if I looked for it during my last visit or maybe it's a new addition. That is about as much record shopping as I figure one person can rightfully do in a half a day and I am thrilled with my scores. Ironically I'd rather go back to Dobbs because a dump is more fun then an antiseptic laboratory full of new hipster vinyl. And Corner Records....well I wouldn't miss that for anything. Your take on things is a new favorite read of mine. I look forward to reading more from your past posts and following you in the future.